The first half of 2007 has seen the continued flight of civilians from their homes and land in response to ongoing State Peace and Development Council (SPDC) military operations in Toungoo District. While in some cases this displacement is prompted by direct military attacks against their villages, many civilians living in Toungoo District have told KHRG that the primary catalyst for relocation has been the regular demands for labour, money and supplies and the restrictions on movement and trade imposed by SPDC forces. These everyday abuses combine over time to effectively undermine civilian livelihoods, exacerbate poverty and make subsistence untenable. Villagers threatened with such demands and restrictions frequently choose displacement in response - initially to forest hiding sites located nearby and then farther afield to larger Internally Displaced Person (IDP) camps or across the border to Thailand-based refugee camps. This report presents accounts of ongoing abuses in Toungoo District committed by SPDC forces during the period of January to May 2007 and their role in motivating local villagers to respond with flight and displacement. 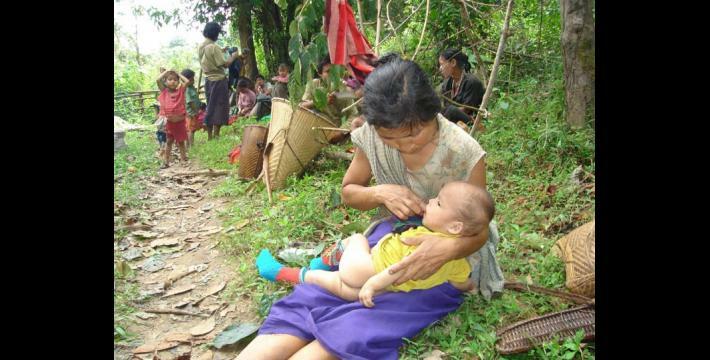 Toungoo District, situated at the northernmost end of Karen State has suffered some of the heaviest military attacks against civilians since the intensification of State Peace and Development Council (SPDC) military operations in late 2005. As part of the 'northern Karen State offensive', the SPDC has worked to extend and consolidate its military structures in the forested mountains of Toungoo which it has not previously been able to control. By attacking rural villages, upgrading and constructing new vehicle roads, forcibly relocating local populations into military-controlled villages and relocation sites and establishing new army camps and bases, the SPDC has managed to extend its authority over formerly autonomous civilian communities living in this area. Nevertheless, many villagers in Toungoo District continue to live outside the reach of military control and regularly evade SPDC attempts to coral them into relocation sites. In Toungoo District civilian communities therefore live under varied levels of military control with a corresponding range of freedom to evade military demands and restrictions imposed on them by SPDC forces. Even for those living outside of consolidated SPDC control the necessity of travelling to, and trading with, military-controlled communities puts them in regular contact with SPDC control structures and the related demands and restrictions. In some cases the SPDC has attempted to exert pressure on civilian communities living at the periphery of military authority, ordering them to relocate into areas of military control. These demands are reinforced by threats of the wholesale destruction of villages in the case of non-compliance. The ever-present threat of SPDC encroachment and the imposition of military demands have prompted many communities to flee prior to a military attack on their homes. In this way, the threat of forced labour and other demands, the restrictions on travel and trade and the threat of armed attack for the purpose of forced relocation all combine as interrelated motivations for whole communities to abandon their villages. Alternatively, where the SPDC has already consolidated control over a given community, regular demands and restrictions serve to undermine civilian livelihoods, prompting flight and displacement at the individual and household level. The rapid development and expansion of new military camps and bases in the area of the Toungoo - Kler La - Mawchi vehicle road, such as those at Saw Bpoo village (situated between Hsaw Wah Der and Kaw Thay Der villages) and at Maw Koh Der village as well as other sites north of the roadway since the start of 2007 has led to more frequent patrols of SPDC soldiers along the forest trails connecting local villages in the area. SPDC officers operating at these sites have prohibited all travel along forest trails, including all trade to and from larger towns such as Kler La, and have been arresting anyone caught violating this restriction. Although the SPDC has allowed villagers to tend to local paddy fields and durian and beetle nut plantations, it has nevertheless limited such work to the hours of 6:00 am to 6:00 pm. Villagers spotted in their fields outside of this time have been shot and killed by SPDC soldiers. On top of these restrictions, local SPDC units have been regularly forcing local villagers to carry military supplies, relay messages, construct roads and build infrastructure at army camps. Villages on which the military has imposed these restrictions and demands include Pa Gkaw Der, Moh Koh Der, Der Doh, Pa Heh Der, Gha Muh Der and Kler La. The restrictions, forced labour and other demands have led many local residents to flee SPDC control altogether and choose instead to live displaced at forest hiding sites. The SPDC, in turn, has branded those internally displaced people (IDPs) who evade military control in this way as rebels and thus legitimate targets for armed aggression. Soldiers operate on a shoot-on-sight policy with regard to these civilians, attacking and burning down IDP shelters, food stores and paddy fields established at covert forest hiding sites. The onset of the rainy season - when villagers must begin planting their rice crops - in early May this year, has forced those in hiding to venture into the open space of their farm fields where they risk being spotted and shot by SPDC patrols. Tending covert hill fields has thus become more difficult with the increasing militarisation of the area. Many displaced villagers unable to maintain their livelihoods in this way have therefore chosen to travel further from their homeland, either to larger IDP camps inside Karen State or, where these are untenable, to refugee camps across the border in Thailand. Since the start of 2007, most of the abuses reported in Toungoo District have been perpetrated by officers and soldiers serving in battalions under SPDC Military Operations Command (MOC) #5, based at Kler La town and led by Commander Kaung Mya.This officer has been responsible for orders involving forced labour, movement restrictions, arbitrary arrest of civilians and extrajudicial killings. "We have to do 'loh ah pay' [forced labour] once a month because our village is a big village and the big villages were ordered to do it once a month. But, with regards to going to the SPDC Army camp and doing work for them, we were ordered to do it everyday. All men, women, children, youth and old people have gone to do 'loh ah pay'. The oldest people [that have had to work] are around 50 to 60 years and the youngest people are over 15 years." The establishment of new army camps, bases and vehicle roads has allowed the SPDC to sustain a more permanent military presence in the more remote areas of Toungoo District. In previous years, the Army was unable to support military units at rural and difficult to access satellite camps in Toungoo and other areas year round. The Army would therefore withdraw its forces during the rainy season when travel and transport conditions worsened. The development of roadways, constructed with uncompensated forced labour of the local civilian population, as well as more permanent army camps and bases has allowed the SPDC to overcome this obstacle and more easily expand into rural areas. As the military can now access civilian communities previously outside its reach, it has worked to corral these people into more easily controlled settlements, barring travel and trade outside of the designated confines. Each new village with its civilian population that the SPDC is able to bring under control serves as a pool of exploitable labour which can also be tapped for funds, food and other supplies. "The SPDC [LIB] #439 entered our village, forced us to cut down bamboo and wood, and construct a fence for them [around the Army camp]. Moreover, they confiscated our living place and our land. The SPDC commander is named Zaw Min Lin and the Battalion commander is named Aung Htun." Local villagers living in Toungoo District have told KHRG that forced labour continues to be the most debilitating abuse inflicted on their communities. The most common forms of forced labour demanded of villagers in Toungoo District include constructing new army camps and bases, upgrading and developing new vehicle roads including clearing brush alongside these routes, portering of military supplies and set tha. SPDC officers conscript forced labour by sending orders to village heads who must then organise the required number of villagers. Order documents may either detail the specific work to be performed and the numbers of labourers needed or demand that village heads come to the meet with the relevant officer to receive more detailed instructions. Village heads are routinely threatened against non-compliance. In Toungoo District, SPDC officers have exacted a fine of 2,500 kyat for each villager who is unable to meet the demand for forced labour. As the order is implemented via village heads, they are the ones who must initially cover any fines and then attempt to collect reimbursement from the villagers. Villagers, in turn, must procure this money either by selling off their own rice stores or borrowing funds from their neighbours. "I had to go and carry supplies for them as well. Seven or eight villagers in my village had to go that time. Sometimes they wrote [and sent] order documents and sometimes they came and gave the orders in person. They demanded [forced labour] once a week or sometimes once over two or three months. It depends on them. The last time that I went to carry supplies there were other villagers as well. So in total there were about 50 villagers. We had to stay and sleep in the jungle. I had to bring my own food. The last time that I carried supplies for them it took ten days." Villagers in Toungoo District have reported that in 2007 men, women, children as young as 16 and elderly people as old as 60 have all had to engage in forced labour for the SPDC. On these occasions, the SPDC provides no compensation, monetary or otherwise, or even food over the duration of the labour. Villagers must therefore take precious time away from labouring for their own livelihoods and furthermore bring food and mattocks, machetes or other tools that may be required. The SPDC typically demands that forced labourers serve from early morning until evening. Those forced to work as set tha must, for example, begin precisely at 6:00 am and continue until 6:00 pm. 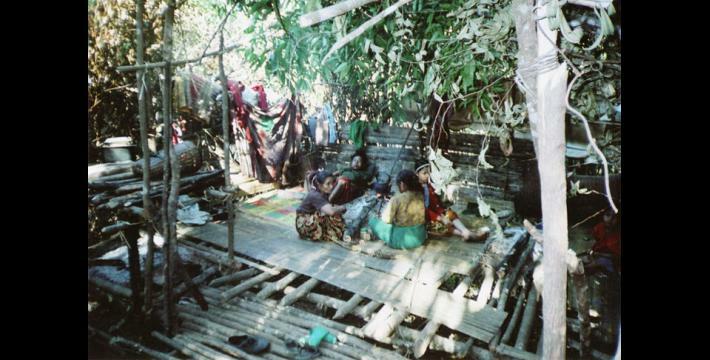 Villagers are sometimes allowed a single break at mid day but no one, including those sick or injured may rest outside of this time or return home until the work day is over. Soldiers overseeing this labour regularly beat village workers in order to speed up productivity. Confronting forced labour and the maltreatment and abuse perpetrated by soldiers, some villagers have fled the worksite to escape into the bush. In such cases, retributive punishment is meted out against the village head, frequently in the form of monetary fines. In Toungoo District since the start of 2007, most demands for forced labour have come from officers and soldiers serving in SPDC Military Operations Command (MOC) #5, which is under the authority of Commander Kaung Mya, based at Kler La. As sample of incidents of forced labour ordered by officers of MOC #5 in Toungoo District during the month of February is included below. With increasing SPDC expansion in Toungoo District and efforts to develop military infrastructure, local villagers have had to spend more and more time on related forced labour projects. One particularly atrocious example of forced labour in Toungoo District is SPDC's insistence that villagers serve as human shields to protect bulldozers engaged in road construction. By requiring civilians to sit atop the chassis and march alongside, in front and behind the vehicle, SPDC forces hope to decrease the likelihood of ambush by soldiers of the Karen National Liberation Army (KNLA). Those marching ahead of the vehicle are furthermore used to trigger landmines before they can damage the SPDC's bulldozers. This practice, known as 'human minesweeping' or 'atrocity de-mining' has long been widely used to protect SPDC troop patrols but has recently become an increasingly common tactic employed to safeguard the military's road building equipment. As an example of this practice, on March 3rd 2007, a camp commander of SPDC MOC #9, Light Infantry Battalion (LIB) #539 based at Play Hsa Loh area in southwest Toungoo District ordered the surrounding villages to each provide one person for labour on road construction. At any given time during this work, two of these villagers were required to sit on the outside of the bulldozer which the SPDC had sent in to build the road. Four of the villagers, two men and two women, were forced to serve as set tha, to relay messages between the SPDC camp at Play Hsa Loh and the officers overseeing the road construction. The rest of the villagers were forced to labour on the actual road construction. 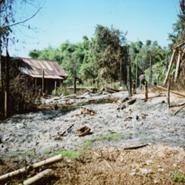 As part of this construction work, SPDC soldiers torched large areas of land on either side of the roadway so as to more easily spot both civilians and KNLA soldiers seeking to evade military forces. However, some of these fires destroyed rice paddy fields and fruit orchards which lay alongside the route. A village head living in the Kler La area told KHRG that on March 5th 2007, MOC #5 Commander Kaung Mya ordered local villagers to cut down and deliver large bamboo poles six cubits (2.74 m. / 9 ft.) in length. At the same time he told the villagers that he intended to build a football ground and each household therefore had to pay him 1000 kyat. A week later, on March 12th, Commander Kaung Mya again ordered the villagers living in the Kler La area to provide large bamboo poles, this time he demanded a total of 2,000 poles. Kaung Mya said that he needed the poles to fence in his army camp. On March 12th, SPDC soldiers from LIB #373 of MOC #5, Tactical Operations Command (TOC) #1, based at Ker Weh, ordered the villagers to porter military rations from Ker Weh to Khoo Thay Der army camp. The names of the villages and number of villagers forced to porter are listed below. "The villagers have to do set tha [messenger service] every day and aside from the villager who does set tha another villager must carry water for the officer to take a bath. As the dry season has less water, the distance to carry the water is about 30 minutes away. If the villagers don't want to do set tha they must give money or if they don't want to give money, they must hire someone else for two days at a cost of 1,000 kyat. If the villagers give money, they give it to the village head and the village head goes to give it to the Major." On March 14th 2007, Commander Kaung Mya, dispatched a convoy of military rations to Naw Soh army camp. For this purpose, he employed 14 army trucks and commandeered a further 3 trucks from local villagers. The Army forced the three civilian trucks to travel at the head of the convoy to shield the SPDC trucks from potential ambush and trigger any landmines. While transporting these supplies, one of the SPDC trucks overturned near Kaw Thay Der village killing one soldier and wounding one convict porter. 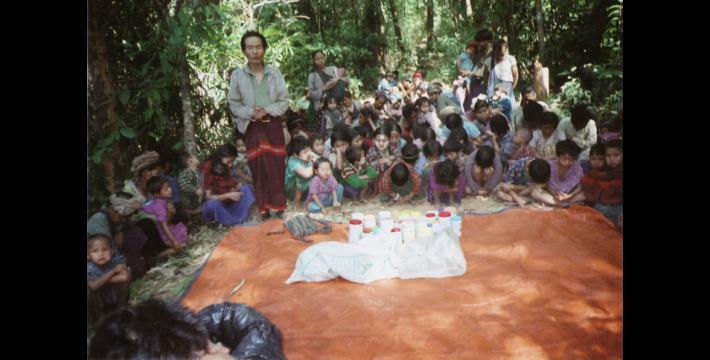 Also on March 14th 2007, LIB #364 commander Myo Htun based at Maw Koh Der forced 40 villagers from Pa Gkaw Der village to take military rations from Kler La to Maw Koh Der army camp. On the same day, MOC # 9, TOC #2, LIB #539 Battalion Commander Htun Thein Gyi based at Play Hsa Loh army camp forced a total of nine villagers from Play Hsa Loh, Yuh Loh, Bpaw Pa, Bplaw Blaw Der and Ghu Loh to travel to Pler Day, collect rations and other military supplies, and then return with these loads to Play Hsa Loh army camp. On March 16th 2007, MOC #5, LIB # 544 Commander Hla Htay based at Khoo Thay Der forced 25 villagers from Khoo Thay Der village, 32 villagers from S'Ba Law Kee village and 27 villagers from Kaw Law Kah to porter military rations from Ker Weh and to Khoo Thay Der army camp. On March 17th 2007, MOC #5, LIB #364 based in Maw Koh Der forced the villagers to cut down and deliver 300 bamboo poles and ordered them to use these to construct a fence around his army camp. "I had to go and carry supplies for them as well. Seven or eight villagers in my village had to go at that time. Sometimes they [SPDC officers] wrote order letters and sometimes they came and gave the orders in person." Having arrived at the site of Shoh Koh situated near Ber Ka Lay Koh village, troops from SPDC MOC #5 have been establishing a new camp to which they have ordered more than 2,000 civilians to porter rations starting on May 17th. The villages and towns from which they demanded porters include Kler La, Maw Pa Der, Khoo Bplay Der, Kheh Bplaw Der, Khaw Gkoh Der, Gh'Muh Der, Der Doh, Gklay Soh Kee, Gkaw Thay Der, Gkaw Soh Koh, Wa Soh Koh and Ler Koh. As these villagers were being forced to carry heavy loads on a daily basis at the very time of the crop cycle when they needed to be ploughing and planting their fields, many local residents fled the area in the hopes of a better alternative elsewhere. Some have headed southeast in order to reach Ee Thoo Hta IDP camp along the Salween River; others have fled to the plains areas in western Toungoo District, others to have gone to Karenni State and still others to nearby forest hiding sites. Despite their attempts to flee, some of these villagers were reportedly intercepted and arrested by SPDC forces. "The SPDC Army has been active in my area since 2006. We live along a route that the SPDC patrols so we must do our work in fear of SPDC Army attacks and landmines. This has created a difficult situation for us. Because of the operations of the SPDC Army, I have not been able to tend to my hill field and I have no income. The SPDC has been blocking the trading routes and it is not easy to travel. As we have no security, this is causing a situation of fear and worry." As the SPDC attempts to extend military control further into Toungoo District it remains dependant on the labour and resources of the local civilian population in order to sustain the already overtaxed, under resourced and inherently unsustainable military apparatus. 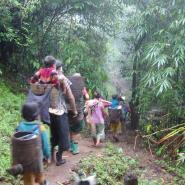 As the SPDC's control over this area is as of yet only tenuous, villagers are frequently able to flee into the forested mountains to avoid demands for labour, funds and supplies. The Army must therefore impose and enforce strict movement restrictions so as to prevent the escape of the pool of labour and resources on which it depends. The varied and extreme restrictions on movement which the SPDC imposes in Toungoo District not only limit the extent to which civilians can evade military demands for labour, funds and supplies, they furthermore undermine villager's efforts to tend their crops, trade agricultural produce and otherwise maintain their livelihoods. "We have to systematise our control. So the villagers are not allowed to invite other people into the village. If anyone invites a guest into the village and if we see them, the village head will be in trouble and furthermore the house owner will also be killed and their house burnt down." On April 12th 2007, soldiers from MOC # 5, LIB # 436 based at Kler La summoned village heads from Pa Gkaw Der, Moh Koh Der, Der Doh, Pa Heh Der and Kler La to a meeting at Kler La town where the SPDC commander presiding over the meeting forbade all villages from welcoming guests into their village . The commander then stated that villagers may not leave their villages to work until 6:00 am and must arrive back at their own village by 6:00 pm and threatened that anyone seen outside of their village between 6:00 pm and 6:00 am would be shot on sight. These restrictions were bolstered by further orders that the villages represented by those attending the meeting build a perimeter fence and ensure that it never falls into disrepair. Should this happen, village heads would be severely punished. Since March 2007, MOC #5 Commander Kaung Mya, has not allowed the villagers in the Kler La area to travel outside of their home villages. Also beginning around March, SPDC soldiers stationed at Kaw Thay Der village have been forcibly registering local residents. Each household has been ordered to post their household register, including the names of all residents, on the front of their homes clearly visible to passing soldiers. As part of the extension of military restrictions over civilian life, MOC #5 has ordered that all car owners as well as anyone wishing to travel by car in the Kler La area submit a photo and register their names with local SPDC officials. At P'Leh Wa checkpoint, situated about halfway between Kler La and Toungoo town, soldiers from SPDC MOC #5 have been checking registration, searching the vehicles and restricting anyone who is not a family member of the car owner from travelling in the vehicle. Upon arrival at Toungoo town, all visitors must register their names and the address where there will be staying with local SPDC authorities who then monitor these people for the duration of their stay. Complying with a directive issued on March 1st 2007, the SPDC MOC #5 soldiers stationed at the P'Leh Wah checkpoint raised a road sign which read 'Block' in Burmese and stopped all traffic from freely passing. At this checkpoint, soldiers have prohibited the transportation of all goods listed below, which they have been confiscating from those travelling along the roadway. The restrictions imposed at this checkpoint created an initial shortage of rice at Kler La town. Faced with depleting rice stores, local residents petitioned MOC #5 commanders stationed at Kler La, and succeeding in persuading the military to permit the transport of some rice supplies along the road. The military has however limited this to five sacks (250 kg. / 551 lb.). If the soldiers find more than five sacks in any one vehicle, they have been told to confiscate all the rice and arrest the car owner. "Since 2006 the SPDC Army operations have become more intense and I have not been able to cultivate my hill field. Also, the SPDC Army has been blocking rice, salt and fish paste - our main foods - and doesn't allow us to sell cardamom or betel nut to the shops. Nor do we dare to go to the shop at Gkaw Thay Der." On top of the restrictions imposed on car owners in Toungoo District, SPDC MOC #5 has also been commandeering civilian vehicles in Kler La town for the transportation of military rations from Th'Ay Hta to Naw Soh. 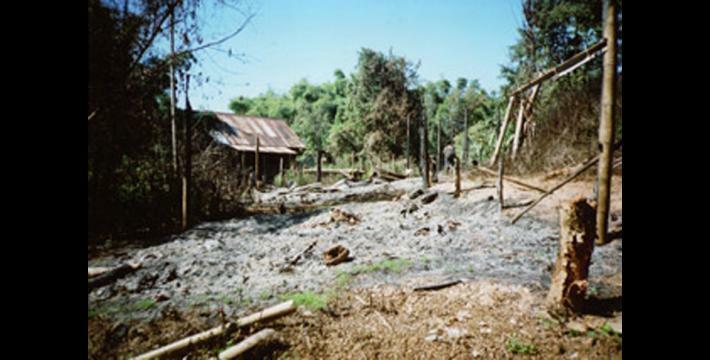 SPDC soldiers have furthermore warned villagers that if there are any attacks by the KNLA or if any SPDC soldiers encounter landmines, then the village heads would be punished. On February 25th 2007, for instance, the SPDC MOC #9 commander based in Tha Pyay Nyunt ordered all ten village heads of Play Hsa Loh village tract to come and meet with him at the Army camp. At this meeting the commander warned the village heads that should his troops encounter any armed resistance or landmines, he would forcibly evict all civilians and submit them to forced labour at a military-controlled relocation site. The commander also prohibited purchase and transportation of rice for a period of 10 days, thereby bringing about a shortage of food supplies until local village heads were able to negotiate the removal of these restrictions. Since the start of March 2007, SPDC LIB #539, MOC #9 which is active in the area of Play Hsa Loh have been sweeping through the area, destroying civilian homes and plantations. This area is not under consolidated SPDC control but the military nevertheless patrols the area and attempts to impose demands on the local civilian population. As villagers have been consistently evading these demands the Army has responded with a scorched earth policy. The names of some of the villages and the property destroyed are included below. "Since the start of January until now, there have been 19 villagers already killed and 8 villagers wounded. The killing and wounding of villagers has happened more in April and May because the villagers have to start working on their hill fields and plantations." The heightened threat of arrest or execution is evident through just a sample of incidents of such abuses perpetrated over the past few months. The villagers listed in the incidents below were mostly arrested, or in some cases shot, on the grounds that they were living in areas prohibited by the SPDC. On March 9th 2007, for example, SPDC soldiers stationed at Gkaw Thay Der, south of Kler La town spotted Saw Ta Gku Gka, a local villager, preparing his hill side paddy fields in the Mwee Loh area. The soldiers arrested Saw Ta Gku Gka and burned down his farm field hut which contained 22 big tins (275 kg. / 606 lb.) of rice. The soldiers then took Saw Ta Gku Gka with them to the SPDC camp at Kler La. KHRG has yet to receive further information regarding his situation. Also on March 9th 2007, soldiers from SPDC Infantry Battalion (IB) #373, MOC #5 operating near Kaw Law Gkah village arrested three community leaders from Kaw Law Gkah village and took them to Khoo Thay Der army camp. The three villagers were Saw Ker Mer (50 years old), Saw Du Kler (58) and Saw Paw Hta (32). The following day, the soldiers released Saw Du Kler but sent Saw Ker Mer and Saw Paw Hta to the headquarters of MOC #5 at Kler La. 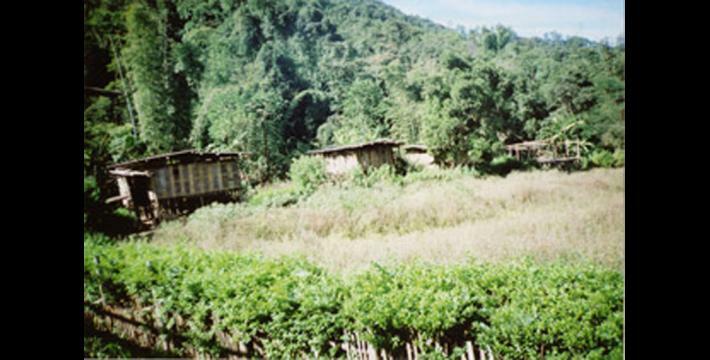 In May 2007, a joint patrol of soldiers from MOC #5, under Commander Kuang Mya, LIB #542, under Battalion Commander Thuang Htin Soe and LIB # 544, under Battalion Commander Hla Htwin, caught and arrested whole families engaged in planting their hill side paddy fields near the Kler La - Mawchi vehicle road in eastern Toungoo. The soldiers arrested three families from Wah Soh village, three families from Au Kweh village and six families from Ber Ka Lay Koh village. Following the initial arrest of these families, the soldiers released the women but kept the men in detention. On May 1st 2007, soldiers from LIB #539, shot and killed 35-year-old Saw Htoo Ray of Hsaw Mee Der village as he was walking back from his betel nut plantation. On May 4th, soldiers from SPDC MOC # 5 arrested three villagers from Hsaw Wah Der as they were returning from purchasing supplies at Kaw Thay Der. 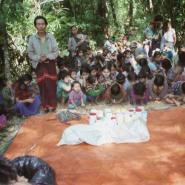 The three villagers were Saw Kya Soe (51 years old), Saw Kin Rin (43) and Saw Ka Lay (50). Following the arrest, local villagers reported that they heard that the three individuals had been killed, but they were unable to provide more details. 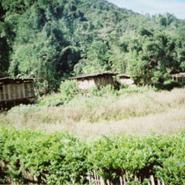 On May 15th 2007 a patrol comprised of soldiers from SPDC LIB #542, under Battalion Commander Thaung Htain Soe arrived at Pwee Kee village where they spotted some villagers resting in their farm field hut. The soldiers called out, but when those in the hut failed to respond, the soldiers opened fire on the hut, killing 55-year-old Saw Hsa Min and 36-year-old Saw Moo Di. Following the shots, the soldiers approached the hut where they discovered Saw Hsa Min's son, 20-year-old Saw Kwah Kwah, still alive. The soldiers ordered Saw Kwah Kwah to follow along with them back to their camp. As they were returning, the patrol came under fire from a KNLA ambush and so the soldiers killed Saw Kwah Kwah in retaliation. Such attacks on unarmed civilians have also been regularly reported by other groups documenting the situation in Toungoo. For instance, Kwekalu, a Karen language newspaper, reported that on May 25th soldiers from SPDC LID #88 shot and killed 18-year-old Saw Ray Raih, 36-year-old Saw Law Kwauh and his son, 7-year-old Saw Tar Noo Htoo as they were engaged in dibbling (preparing holes in which to plant paddy seedlings) on their hill fields at Sih Daw Koh village in southern Toungoo District. The shots wounded, but did not kill, 30-year-old Saw Boh Hti Htoo, 24-year-old Naw Paw Gklay Gklay and 13-year-old Naw Kree Kree. "My house and rice store were burnt down. I have fled to the jungle but we don't have enough rice to eat. We have had to eat boiled rice together with our children. But now we don't have anymore boiled rice to eat and we have to forage for vegetables in the jungle. We dare not go back to our villagers and we've also begun to face a severe problem about our food supplies." With the ever present threat of armed attacks on their village and the potential absorption into the sphere of SPDC militarisation, communities living on the periphery of military control have been fleeing to forest hiding sites, larger IDP camps and refugee camps in Thailand. Direct attacks against such villages have increased since the intensification of SPDC operations in November 2005. Wanting to remain near the land of their birth, many of those fleeing their homes initially move to hiding sites no more that an hour or two from their villages and new SPDC camps. Concurrent with the expanding SPDC presence, regular army patrols have been conducting search and destroy operations through the Toungoo hills targeting shelters, food stores and covert hill fields. These soldiers have also been planting landmines in abandoned villages and along forest paths. The initial forest hiding sites, to which IDP communities often flee, are therefore highly insecure. Those displaced at such areas must therefore employ a wide assortment of measures to address their subsistence needs and resist continued military efforts to flush them out of the hills. "When I face a food problem, I meet with my friends and they help me a little bit but they have problems as well. I live in the jungle year round and I understand that neither my living situation nor my occupation is very secure." Now that the rainy season has started, those villagers remaining at hiding sites must begin the task of planting and tending their covert hill fields. This work forces them out into the open where they are easily targeted by the SPDC soldiers hunting them out. Furthermore, as mosquitoes thrive on rainy season conditions and displaced villagers typically lack mosquito nets and other preventative measures, the likelihood of contracting Malaria, the most common cause of death in Karen State, increases sharply. To make matters worse, the SPDC blocks displaced communities from travelling to towns and larger villages to access medicine and medical treatment or any supplies for that matter. These communities have therefore been increasingly relying on the medical provisions of cross border aid groups such as the Karen Department of Health and Welfare, the Backpack Health Worker Teams and the Free Burma Rangers as well as traditional remedies which they are able to concoct with locally available ingredients. "The SPDC Army has been forcing people to do many kinds of labour such as portering, set tha and the construction of army camps. When SPDC soldiers enter the village, they usually demand money, chickens, pigs and such. When the SPDC soldiers make a demand or take something, you can't stop them and they don't listen to what you tell them. They usually get angry with villagers who talk back to them and usually threaten these villagers, saying that they will burn down the village and the houses. For me, since 2006 I have carried loads for the SPDC Army three times. The SPDC Army orders us to carry loads. If we don't do this, they say that we are rebels. So, we have to constantly labour for the SPDC Army and we have no time to do our own work. So, our families are faced with food problems as we have no food to eat. However, if people don't carry out the tasks which the SPDC demands, the SPDC Army will take action against those people. For me I had to carry loads for the SPDC Army, but the last time I didn't comply and I fled." The motivations which villagers in Toungoo District report as stimulating flight from their homes include both direct military attacks as well as the consequent abuses of military control. Where the SPDC has been clearing out villages as part of a scorched earth campaign in areas it doesn't control, villagers report fleeing military attacks on their homes. However, many communities living in areas under partial or consolidated military authority report abandoning their homes as their livelihoods collapse under the daily grind of military demands and restrictions. These two motivations are inseparably linked, as direct attacks represent efforts to eradicate non-SPDC controlled habitations and thus bring all civilians into the sphere of military control where the exploitation of the civilian population can be carried out with fewer avenues for civilians to evade these demands. "Because of oppression, fear and the destruction of the village by the SPDC, we dare not stay at our village anymore and the school hasn't been able to reopen since it was destroyed. Now, if we look at the situation in the village, some of the villagers are always in fear and because they can't do their work smoothly anymore. Some of them fled to Toungoo town and some fled to Mawchi and the rest have stayed with their cardamom and betel nut plantations." Through the evasion of military exploitation these IDP communities claim their right to local-level democracy by 'voting with their feet'. Fewer IDP communities in hiding within areas of greater SPDC control is not a consequence of reduced armed conflict, but rather of increased militarisation, and thus reduced options to evade military authority. Nevertheless, as civilians forced to deal with SPDC structures confront regular demands for forced labour, food, funds and other supplies coupled with restrictions on travel and trade, they continue to seek other options outside the oppressive net of military control. A KHRG field researcher working in Toungoo District explained in May that, "because of the human rights abuses perpetrated by SPDC soldiers against villagers, villagers living in Toungoo District have increasingly fled into displacement. Some of the villagers under SPDC solders control have to do forced labour and face restrictions on their livelihoods. So, they flee for the sake of their future". "We fled because we were oppressed by the SPDC. We didn't get any permission to travel. They wouldn't give us any travel documents. They were making us do construction work. So, we couldn't do our own work. If we had stayed, we would have only fallen into debt and so we came here." In areas of partial or consolidated military control, many civilians thus flee the systematic impoverishment of their communities brought on by a parasitic military authority. While economic predation undermines livelihoods, draconian measures of civilian control reduce the alternatives available to the civilian population. 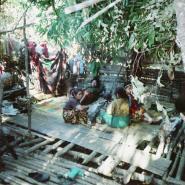 Many villagers therefore flee into hiding prior to military encroachment, when their options for flight and displacement would be severely obstructed. 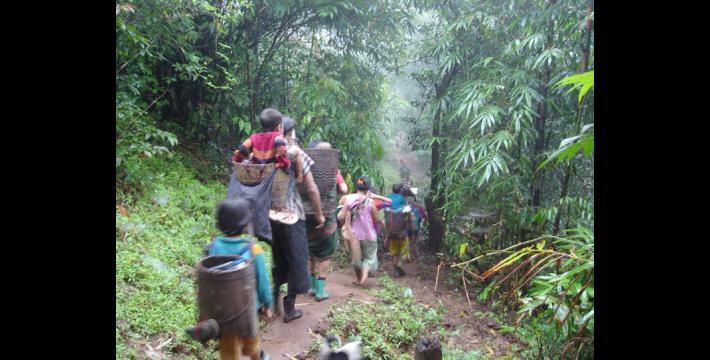 As Karen communities in Toungoo District retain a strong attachment to their homeland, they initially flee to the surrounding forest rather than abandon their homes altogether. By remaining close to their home villages, these villagers can monitor the activities of SPDC soldiers and return to collect possessions, tend crops at abandoned fields and reclaim their homes in cases where the military withdraws or the patrol moves on. However, as the SPDC strengthens its presence in Toungoo District, constructing new roads, camps and bases and bringing in more troops and supplies, there is an increased likelihood that displaced communities will encounter SPDC soldiers. 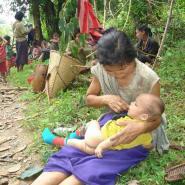 The options for displaced villagers have therefore been decreasing, prompting more and more to flee further afield. Many villagers from Toungoo District have traveled southwest to Ee Thoo Hta and other IDP camps inside Burma while others have crossed the border to reach refugee camps in Thailand. "When they [SPDC soldiers] arrived, they threatened the villagers and said 'I want to eat meat and I can't speak Karen.' So, some villagers were afraid and ran away. They also took many of the villager's supplies such as betel nut, durian jam and all the rice and they ate two pigs which they shot. I was afraid of the SPDC soldiers so I moved to K'Hser Doh and I stayed there. I moved to K'Hser Doh on February 17th  and left it on June 17th . When I was staying at K'hser Doh it was the time when SPDC was setting up their army camp. I had to do 'loh ah pay' at that time. I had to dig a well for them and we heard news that villagers in K'Hser Doh had fled to another place because they wanted to leave. So I thought that, since I couldn't manage my livelihood I asked the village leaders for permission and then fled into the hills. I fled step by step and have now arrived at this [IDP] camp." "For me, I hope the SPDC will not frighten H--- village anymore so that the villagers can stay peacefully and the children can study and attend school peacefully. I hope that our leaders and the international community will support us and have sympathy for us so that we can stay in our own country." As the northern Karen State offensive continues, the SPDC has been working to bring all areas of Toungoo District under consolidated military rule. In those areas where the SPDC has succeeded in extending its control, the military has been able to use the threat of force to extort labour, food, funds and supplies from the civilian population. It has furthermore imposed restrictions on travel and trade that frustrate civilian efforts to evade these demands and resist control. As villagers flee to evade military efforts to control them, displacement serves as means of resisting abuse. As this evasion thwarts military efforts to exploit the civilian population and undermines the SPDC's authority, those choosing displacement in forest hiding sites are branded subversives and thus legitimate targets of military aggression. The motivations for displacement in Toungoo District are interlinked and centre on civilian efforts to maintain dignity, pursue their livelihoods, and sustain a way of life that is threatened by military efforts to control them. Villages are regularly ordered to provide individuals to serve on a rotational basis as 'set tha', a Burmese term which typically applies to service as a messenger relaying orders from SPDC officers to village heads. Those forced to serve in this capacity must remain at army camps and are also required to perform other menial tasks, whenever there are no messages to be delivered. Soldiers shot dead a seven-year-old child,' Kwekalu, May 28th 2007.